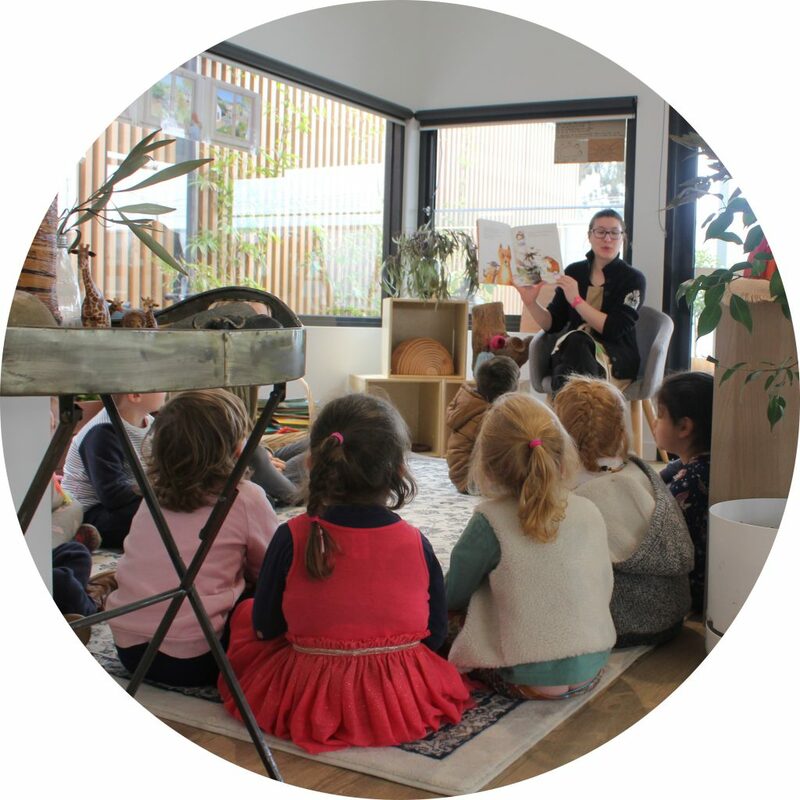 As part of our Kindergarten Program, all of our 4 year old Kinder children have access to our School Readiness Program. This program focuses on getting children ready – ready for life, for school and to be a member of their community. Welcome Group Time – Each morning the class will have a ‘Welcome Group Time,’ welcoming the children to the room and the learning experiences that are planned for the day. Monthly Emails – Your child’s Kindergarten Teacher will send a monthly email with tips on activities you can do at home with your child, particularly focusing on school readiness. 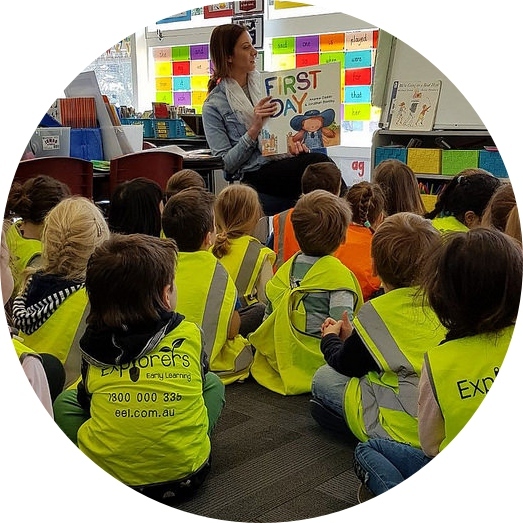 Library – Children have the opportunity to borrow books from the centre library to take home and share with their family. Water Bottles – Children are encouraged to bring their own water bottle and take responsibility of it throughout the day. Show and Tell – Show and Tell is encouraged throughout the program. School Bags – Children can choose to bring their school bag in Term 4. Lunch Boxes – A lunch-box program occurs in Term 4. Children are asked to bring an empty lunch box on certain days, and the chef will provide them with a packed lunch. This enables the children to practice a lunch routine similar to school, whilst being supported by our Educators. 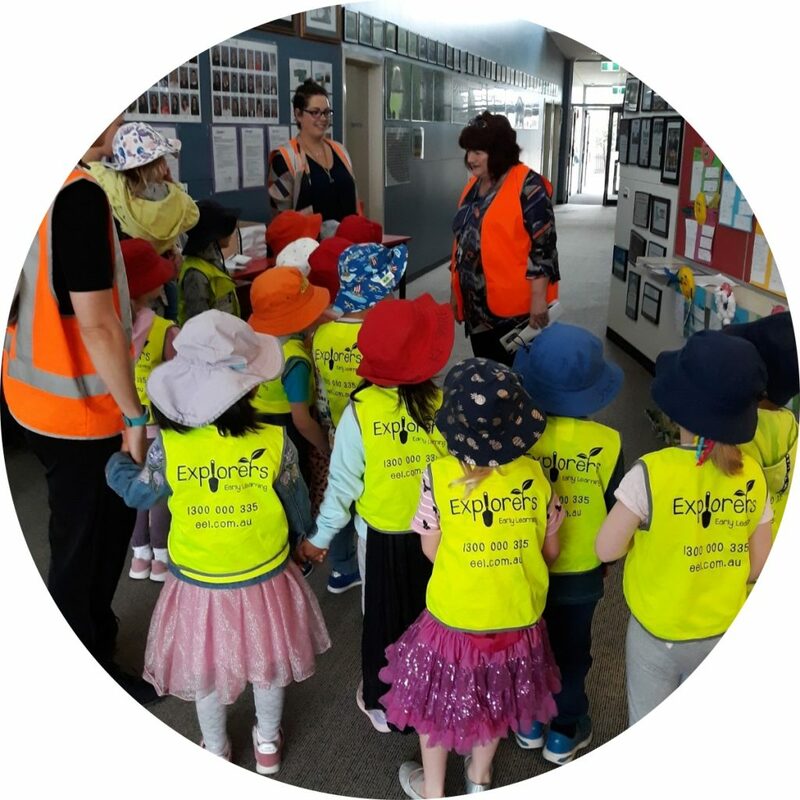 School Excursions – Children will go on excursions to the local school, enabling them to see a school class room and playground alongside their Kinder friends.